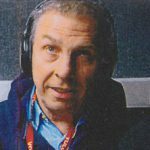 Jack Worsnop is a master of the airwaves thanks to years of being a radio ham and is our longest-serving member and a survivor from the “Grumpy Old Men” show. His sense of humour and ready wit are legendary and his favourite classical tracks are an ideal balance to the station’s output. 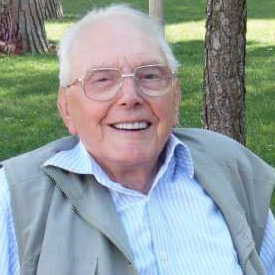 Having dual nationality holding English and Italian passports, as well as his legions of amateur radio contacts, he has listeners all around the world, none in this country but all around the world (thank you Ray Galton and Alan Simpson). Jack has done sterling work for the station over the years in his official capacity as Chairman and is a guiding light whilst having a steady hand on the tiller. David is 70 years old this year and has been married to wife Diane for 44 years. They have a son, a daughter and a granddaughter. 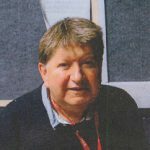 Having retired 9 years ago after 40 years at the Telegraph and Argus newspaper in Bradford, David became a presenter on St. Luke’s Sound in 2010. 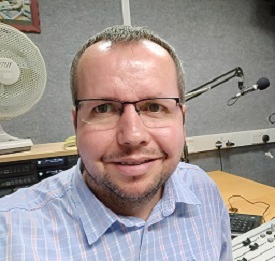 He presents two programmes on the station, a 60’s and 70’s show from 9:30 to 11:00 on Monday mornings and a two hour programme from 10:30 to 12:30 on Friday mornings. Both programmes include a section where he plays singles from the pop charts of that week in the past. 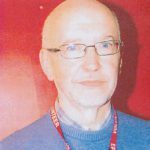 Roy hails from Brighouse and has been a presenter on St Luke’s Sound for 15 years, with a break for a couple of years when he presented on Community Radio in Cornwall. 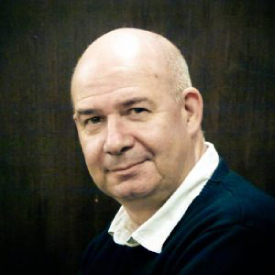 With a background in Pantomime, Children’s Parties and Amateur Dramatics, you can be sure of a giggle or two and a warm welcome if you want to contact him with a request or a dedication. 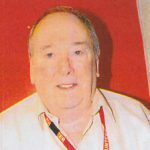 He plays music to take you back down Memory Lane on Tuesdays and Wednesdays, 11:00 am to 1:00 pm in ‘Classics with Roy Byrom’. As well as being a presenter Wayne also takes care of all the technical stuff at St. Luke’s Sound. When we say everything we do mean everything. 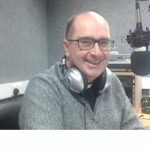 He was born and raised in North Wales and first volunteered for Hospital Radio back in 1990 at the tender age of just 16 when he did a weekly show for Radio Glan Clwyd. He has been living in Bradford for 13 years now and has been volunteering for St. Luke’s Sound for 3 years. He enjoys all types of music but you can probably guarantee he will play at least one Beatles’ song every show. Stuart is married with one son, one daughter, four granddaughters and is therefore exhausted, permanently in the minority and always in the wrong . He spent much of his early life as a small boy, however he grew out of that and became a man. This transition was accompanied by the deepening of his voice and the lengthening of his trousers. He escapes to SLS on a Saturday morning to talk complete nonsense to any troubled soul who will listen. His musical taste is both wide and varied but he never needs an excuse to include Elvis Presley somewhere in the programme. 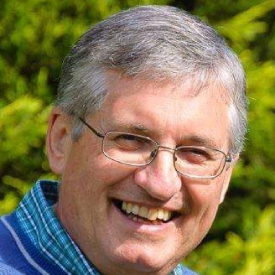 As well as being one of the presenters on St Luke’s Sound John Winter is our esteemed treasurer. He presents the aptly named ‘FRIDAY LUNCH TIME PROGRAMME’ which is broadcast from 12.30pm till 2.00pm every Friday. The show is made up of an eclectic mix of all types of music and each week has a main theme plus a featured artist, featured group and featured album slot. 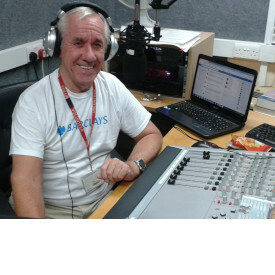 John enjoys all types of music particularly Jazz, Blues and Folk, all of which are often played on the programme. He particularly enjoys playing less well known records. Peter Barry Alexander Kimber was one of the last babies born in Bradford prior to the arrival of the NHS, which may go some way to explaining his noble monicker, though Barry blames his dad since he registered the birth. Barry is 70 Years old and is approaching his tenth year as a volunteer at St Luke’s, starting in phlebotomy then as a guide in the corridor at Horton wing and now in St Luke’s Sound as one of the presenters. Barry took early retirement in 1999 on health grounds after 23 years at British Telecom, although when he started it was the good old GPO. “Music was my first love and it will be my last” wrote John Miles and it is a sentiment echoed by David Mickleboro and he feels sums up his life. His musical tastes include Rock and Roll, The Beatles, Motown, The Beach Boys, Michael Jackson and Neil Young right the way through to The Bombay Bicycle Club, Kate Rusby, Blue Nile, The Last Shadow Puppets and Ed Sheeran. Ironically he is not a fan of Mr Miles but is open to persuasion and that’s music; it changes. It could be a first love eventually. Kevin is the mystery man of St Lukes’ Sound. He sneaks in through the back door and sneaks out again without anyone seeing him. Some say he was the inspiration behind H.G. Wells’ story of ‘The Invisible Man’ and that he could broadcast without coming near the studio. All we know is that he is called Kevin.